Steven becomes depressed when his favorite brand of ice-cream sandwich, Cookie Cat, has been taken off the market. He soon cheers up when the Crystal Gems manage to get a hold of some of the last remaining Cookie Cats, which Steven believes may hold the key to activating his gem. When a menacing red eye threatens to destroy Beach City, the only thing that could possibly destroy it is a Laser Light Cannon, which once belonged to Steven's mother, Rose Quartz. Thus, Steven enlists the help of his father, Greg, and searches through his storage in order to find the cannon. Steven packs his Cheeseburger Backpack with supplies for a mission to the Lunar Sea Spire. Steven helps Peedee Fryman with his grueling job by using a magical gem shard that can bring clothing to life. While navigating out of an ancient maze, Steven tries to prove himself worthy to Garnet. Steven befriends a magical lion. Steven takes the Crystal Gems to Funland Arcade where Garnet learns the allure of video games. During a mission to the Sky Spire, Steven tries to convince Amethyst and Pearl to fuse together and become a giant woman. Steven learns that the Gems are thousands of years old and decides to make up for all the thousands of birthdays they’ve missed, and things spiral out of control when Steven begins feeling too old for birthdays. Steven and Lars get to hang out with the cool kids in town, but their teenage shenanigans get them into magical trouble. A toy trade between Steven and Onion escalates into epic proportions. Pearl tries to teach Steven the art of sword-fighting using a holographic version of herself. Steven and Connie try to ride Lion to a movie theatre, but Lion has other ideas. After a battle damages Fish Stew Pizza, Steven throws a cookout at the Temple to mend the relationship between Pizza family and the Crystal Gems. When Lars pawns off all his work on Sadie, Steven helps out by working a shift at the Big Donut. Steven needs a musical partner for an upcoming show, and uses a time travel device to recruit the perfect bandmate, HIMSELF! Steven accidentally releases a monster from a gem bubble and attempts to tame its wild, violent instincts. Steven Tells Connie the story of his mission with the Gems to heal Amethyst's gemstone when she cracks it. Steven befriends a magical mirror that can mysteriously communicate with him. The ocean disappears on the first day of summer and Beach City is in a panic. After injuring his leg, Greg comes to live with Steven and unintentionally interferes with Steven's powers. After hearing how much Pearl wants to see the cosmos, Steven gets his dad to help him build a spaceship. After accidentally popping a bubbled Gem, Steven, Amethyst, and Pearl form a secret team to recover the pieces. Steven tries to mend Lars and Sadie's broken friendship by taking them on vacation to a magical beach. Steven is taken in by Ronaldo's conspiracy theories about paranormal occurrences in Beach City. 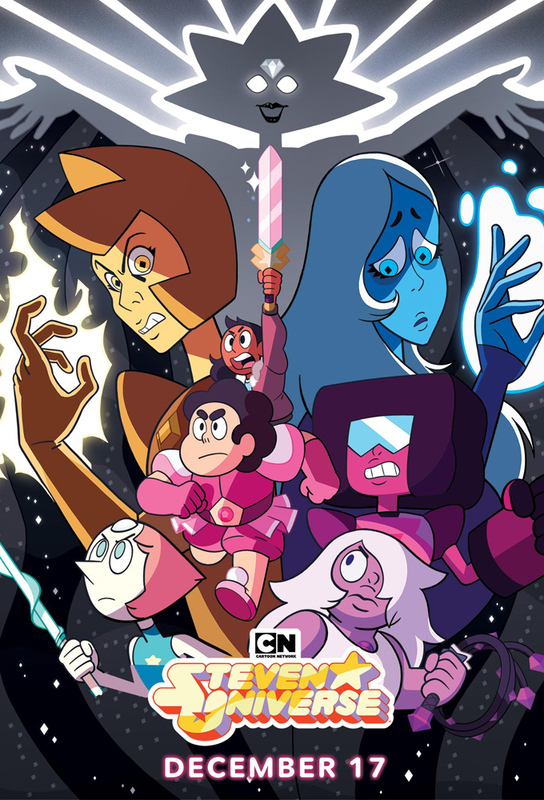 To impress Connie's parents, Steven asks the Gems to fuse together to pretend to be his mother. Steven wonders what Garnet does with her day. Steven discovers the power to grow a patch of watermelons shaped like himself. Lion keeps laying on Steven's face while Steven is sleeping. Steven thinks he sees something creepy traversing the warp streams, so the Gems try to ease his paranoia. The Gems try to teach Steven how to use his fusion powers. Steven finds out that his mission to the Lunar Sea Spire was a test and demands a new one. Steven learns that Garnet can see into the future and becomes curious about the possible dangers that lurk around him. Steven and Amethyst try out life out on the road. Steven goes to the lighthouse to watch scary movies with Ronaldo, Lars, and Sadie. Steven has to take Connie back to her home before it snows. A garage sale reunites Greg and Amethyst with their favorite sitcom, Lil' Butler. Steven and the Crystal Gems encounter another droid from space. Steven joins Pearl on a Special Mission to a place that belonged to Rose Quartz. Steven and the Gems try to retrieve a message from the Wailing Stone. The Crystal Gems cause a power outage in Beach City, so Steven helps Mayor Dewey control the situation. A new threat arrives in Beach City.